Also a reminder (in case you've been living in a cave and missed it!) that the MASSIVE British Nail Bloggers Giveaway is still live until the end of the month - Giftcards to your choice of e-tailers up for grabs!! Enter HERE and best of luck! 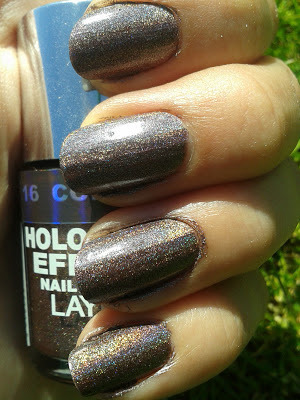 Today on the blog I have a brand of polish I have never tried before but I imagine I definitely will again! This is Layla, which I got from Sally Magpies in her sale for only £1.50. 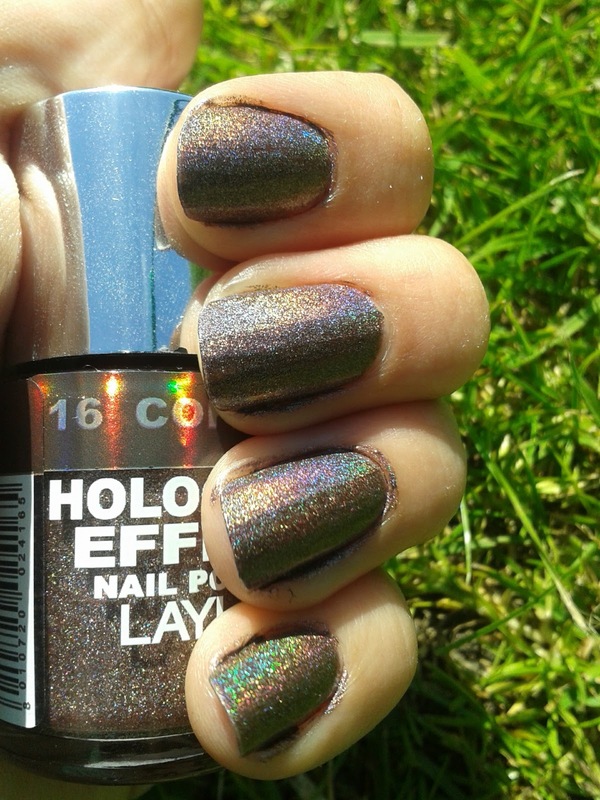 Their range of holo polishes are gorgeous, and as I've never really tried proper holo polishes that other bloggers go nuts over I thought I might as well. Critisms, the formula was a little weird, you have to be pretty careful not to go over the bit you just applied until it is properly dry otherwise you get bald patches, however I had a bald patch on my thumb and because of the shine I didn't notice for hours so you can easily get away with it! 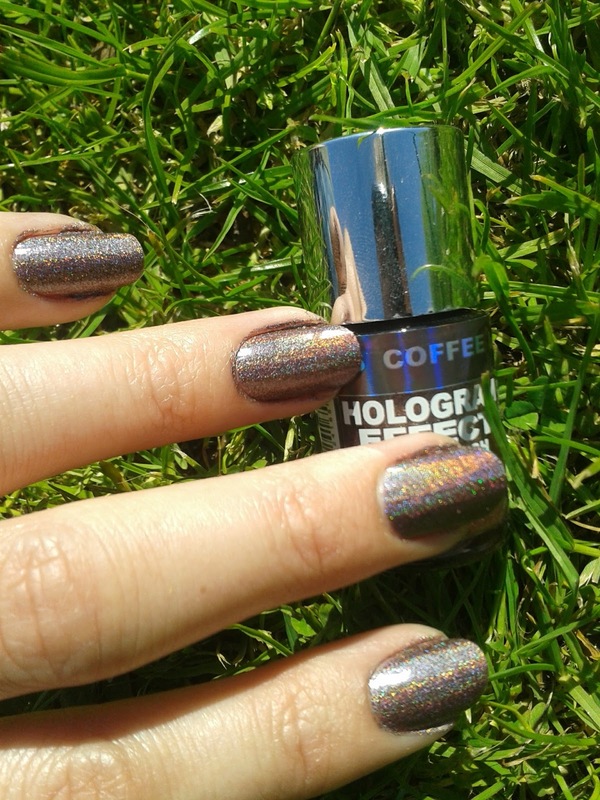 The other downside is that out of the sun it's just another shimmery polish. It is still lovely just not as special, which is a shame. The others in the collection might be more your thing then :) but I don't wear pink and have too much blue so this was was perfect for me lol. Voted for you! Love that holo, where did you buy it from?